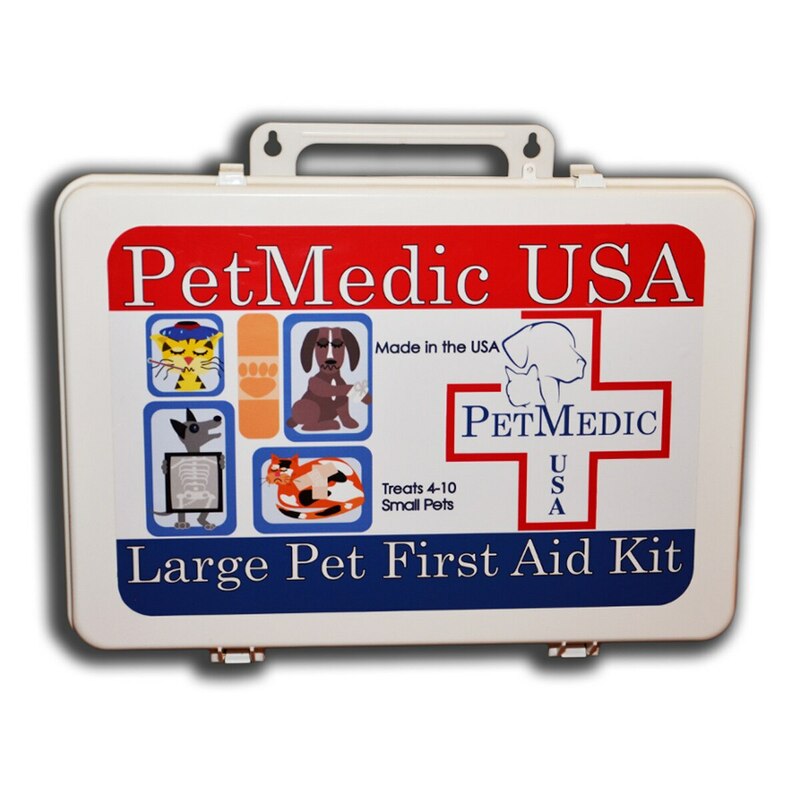 This kit offers you more of what you might need for most emergency situations you might run into in the normal maintenance and care of your small household pet. 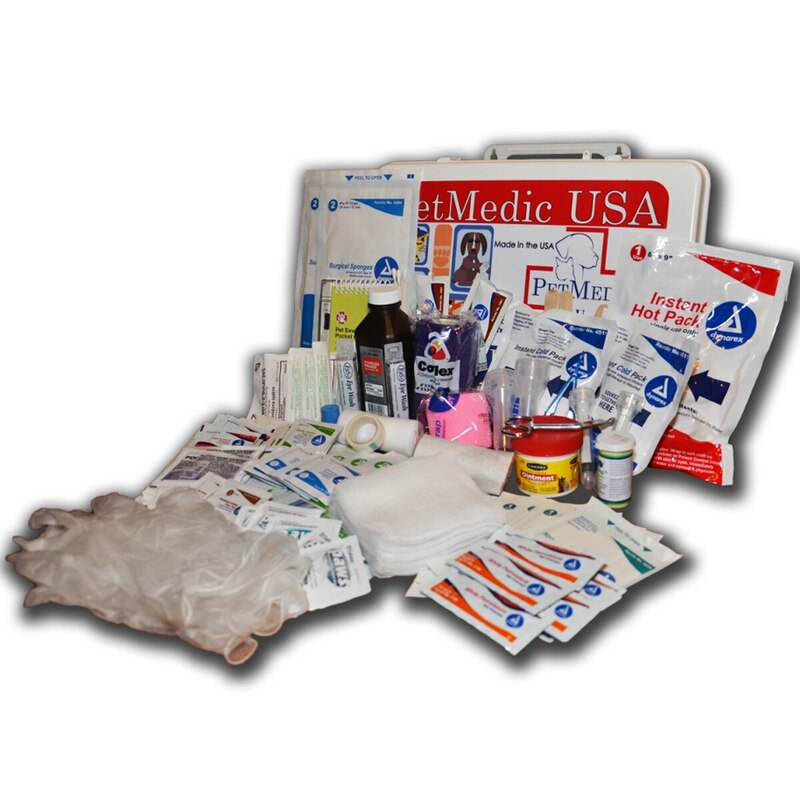 This durable molded plastic case neatly secures and protects your investment in first aid supplies which includes such necessary items as dressings of a number of sizes and types,several types and sizes of bandaging supplies, cleansing, antimicrobial and germicidal wipes, medication application supplies, medical towels, iodine swabstick & scrub, alcohol wipes, hydrogen peroxide, eye wash, exam gloves, tourniquet, bandage scissors, thumb forceps, digital thermometer, syringes and hypodermic needles, hot & cold instant pack, antiseptic ointment, blood abatement powder, and a comprehensive but easy to follow compact pet first aid guide. Offers you more of what you might need for most emergency situations you might run into in the normal maintenance and care of your household pet. This durable molded plastic case neatly secures and protects your investment in first aid supplies. 9.25" X 13.5" X 3.25"
The medical back wrap can be used for sprain, sport injuries, rehabilitation, arthritis and muscle fatigue. Can be worn without removing your clothes in an emergency. Is dry cold and frostbite proof. The medical shoulder wrap can be used for sprain, sport injuries, rehabilitation, arthritis and muscle fatigue. Can be worn without removing your clothes in an emergency. Is dry cold and frostbite proof.